NYU has an Abu Dhabi campus, but the government still blocked professor Andrew Ross from doing research. The United Arab Emirates blocked an NYU professor who questioned its policies. Is academic freedom at risk? New York University’s Abu Dhabi Campus Center: a no-free-speech zone? After a New York University professor who has written critically of migrant labor issues in the United Arab Emirates was blocked from boarding a plane to Abu Dhabi, some are asking what the implications are for NYU’s branch campus there. Andrew Ross, a professor of social and cultural analysis at the New York City campus and president of NYU’s chapter of the American Association of University Professors, was prohibited by UAE authorities from boarding an Abu Dhabi-bound plane at New York’s Kennedy International Airport earlier this month due to stated “security reasons.” (The media relations office at the U.A.E. embassy declined to comment on the incident.) Ross had been planning to continue his research on migrant labor issues in the Emirates over his spring vacation. He was not planning to stop by the NYU Abu Dhabi campus while there. “I had thought the government would have a little more deference and respect for an NYU professor,” said Sarah Leah Whitson, who, as the executive director for Human Rights Watch’s Middle East and North Africa Division, has also been refused entry into the UAE. But she said, “If this is the kind of position that the UAE is going to take against critics of the government, then I think NYU professors have a lot to worry about. … It shouldn’t be up to the U.A.E. to decide which views of N.Y.U. professors are acceptable and which views are not,” Whitson said. A university spokesman, John Beckman, emailed a statement saying that the university “supports the free movement of people and ideas” and that in five years of operating a campus in Abu Dhabi, “our faculty and students have experienced zero infringements on their academic freedom, even when conducting classes about sensitive topics—labor, politics or what have you. … But it is also the case that regardless of where NYU or any other university operates, it is the government that controls visa and immigration policy, and not the university,” the statement said. Beckman declined to answer follow-up questions. 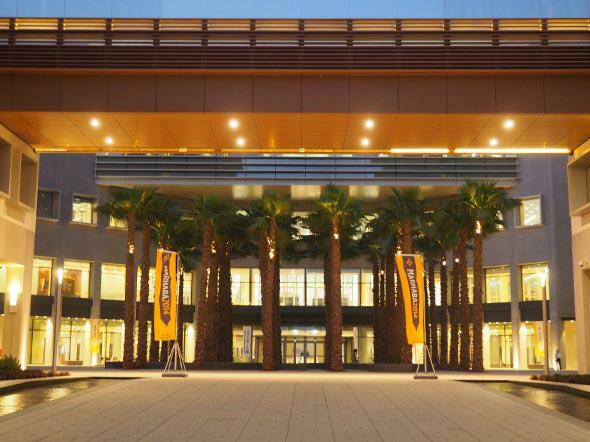 NYU’s campus in Abu Dhabi has been a subject of controversy, with concerns about the university’s rapid global expansion being one of the factors at play in a faculty vote of no-confidence in President John Sexton’s leadership in 2013. (Sexton is retiring as president in 2016.) In addition to persistent questions about the rhetoric versus the reality when it comes to issues of academic freedom in the Emirates, a New York Times investigation last year into the harsh working conditions faced by the migrant laborers who built NYU’s campus in Abu Dhabi fueled yet further concerns (and as the Times reported earlier this month, one of the journalists who co-wrote that investigative piece, Sean O’Driscoll, has since been expelled from the UAE). Other Western professors have also been barred from the United Arab Emirates. Matt Duffy, who as a former journalism professor at the Abu Dhabi-based (and American-accredited) Zayed University attempted to delicately promote press freedoms, had his visa revoked in 2012. In 2013, Kristian Coates Ulrichsen, a Middle East studies scholar affiliated with the London School of Economics and Political Science, was briefly detained and turned back upon arriving at the airport in Dubai with plans to give a presentation at a conference jointly sponsored by LSE and the American University of Sharjah. LSE called off the conference. UAE authorities released a statement saying that Ulrichsen had been barred from the country in light of his views on the political situation in Bahrain, the subject of his planned conference talk.